Gold Shadow Box Frame w/Silk and Glass 21" x 17" x 3"
Container box is 18" x 14" x 3"
Sometimes you just get it right and we did on this shadow box! The color and texture is extremely rich. You could display a rock from the side of the road inside this shadow box and it will look like a thousand dollar rock :) Anything you put in it will take on the presence of a treasure. This is an uncommonly rich and very expensive looking frame. 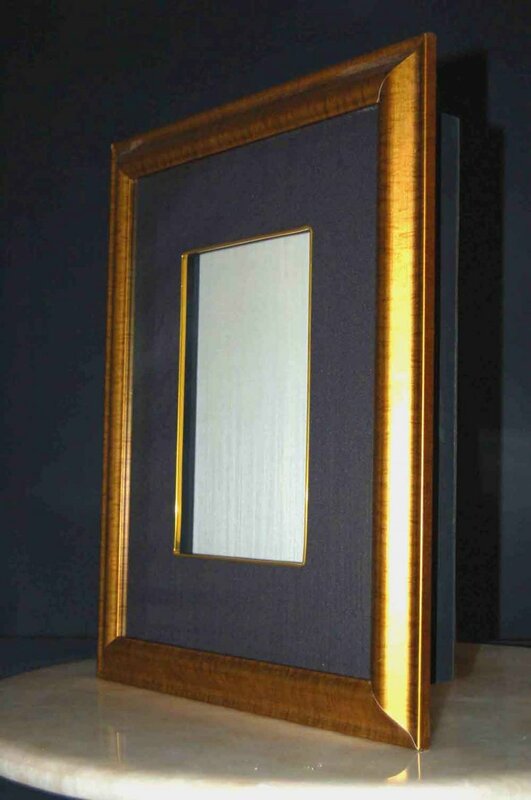 The gold finish on the frame has a beautiful burl wood texture and the black silk with beige background gives a very tasteful and dynamic feel to the piece. You will love this frame. You can purchase the empty shadow box or we will mount something for you. 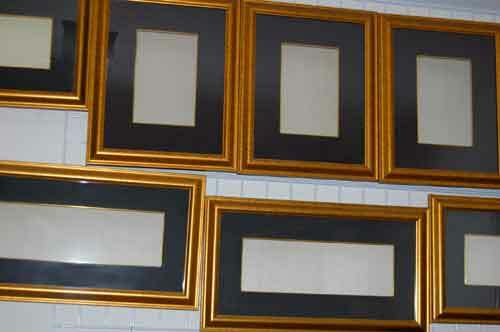 Below are examples of artwork that we have mounted for other customers. Any questions or wholesale inquires may call 1-800-321-8618. This is most likely the most beautiful frame you will ever see. Insured UPS shipping is $14 in the lower 48 states and Canada. Other destinations must be calculated. Call toll free 1-800-321-8618 if you want to pay by credit card. All payment options are accepted including Paypal.